Georges Jean Raymond Pompidou (French: [???? p? ?pidu]; 5 July 1911 – 2 April 1974) was Prime Minister of France from 1962 to 1968, holding the longest tenure in this position, and later President of the French Republic from 1969 until his death. 1 First and (to date) only President of the Fifth Republic to die in office. 2 The Centre Pompidou, a famous art museum in Paris, was named after him. 3 Was survived by his wife Claude for more than 30 years. 4 Had a foster son, Alain Pompidou (b. 1942). 5 French right-wing politician. 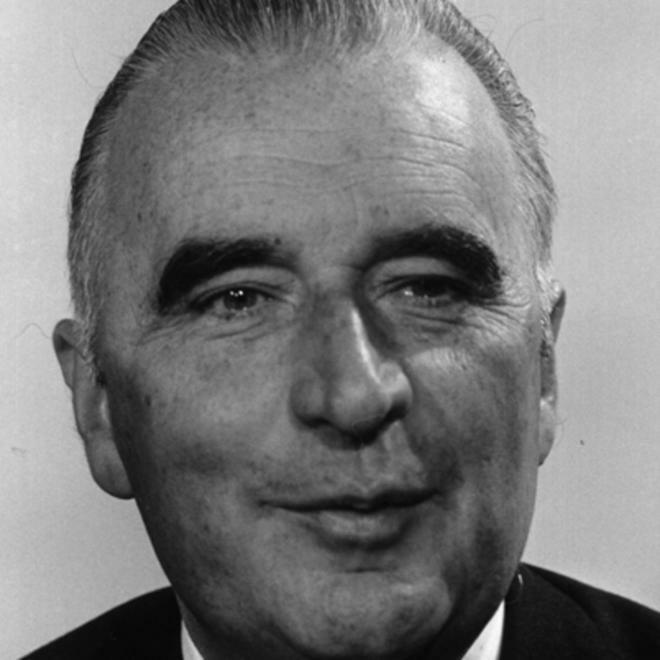 Prime Minister from 14 April 1962 to 10 July 1968. President of the French Republic from 20 June 1969 to his death on 2 April 1974. 6 Has his look-alike puppet in the French show "Guignols de l'info, Les" (1988).